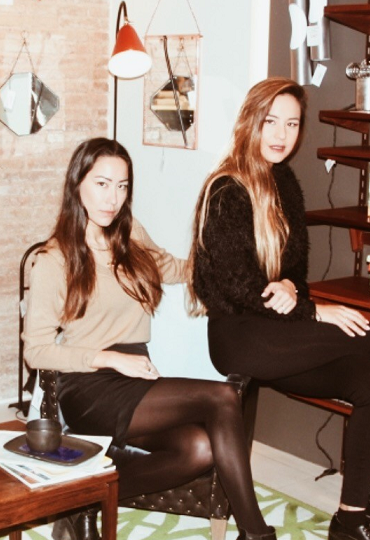 Cosmopolitan, successful and experts in gastronomy, the Kao sisters, Meilan and Nayan, are the third generation of the Kao family in Catalonia, pioneers in introducing Chinese cuisine to the autonomous community and an iconic name in the regional capital. As a result of their business ventures and family history, the sisters have become excellent ambassadors and the perfect guides to introduce us to Barcelona’s hotspots. Escape from the typical tourist sites and dare to discover the coolest and less well-known side of Barcelona. This building belongs to Gaudí’s Orientalist phase (1883-1888), a period in which the architect created a series of works with a markedly exotic bent, inspired by the art of the Near and Far East. 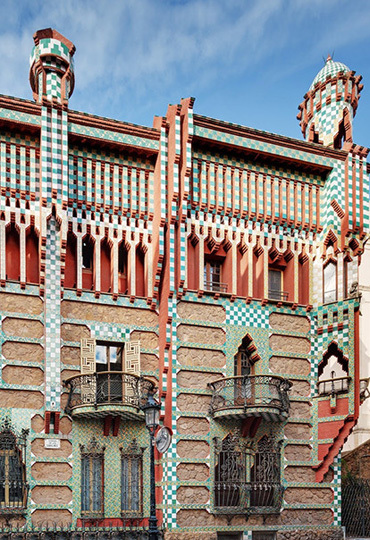 Now fully restored, Casa Vicens is open as a museum house and offers a rigorous yet attractive visit for the general public, which includes a permanent exhibition where you can wander around the rooms meticulously restored and conserved in accordance with Gaudí’s original designs. 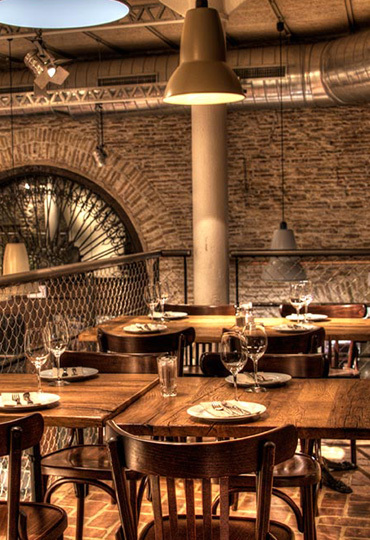 If you land in Barcelona, you can’t miss out on a visit to the cool Born neighbourhood. Losing yourself in the Modernist streets is a great experience, but particularly the Passeig del Born, a genuine hive of activity where people fill the terraces and restaurants. It also has the most authentic shops in the regional capital. We recommend venturing here after dark, as it becomes one of the most cosmopolitan areas for nightlife. This zone of the city was also the stage for many historical events. As a special suggestion, why not take a break and enjoy the famous Barcelona tapas and a beer at the La Puntual bodega. Located in the same neighbourhood, this tavern has a very pure conceptual style and offers a variety of choices, from its magnificent cured ham to the most delicious rice with butifarra (Catalan sausage) and black chanterelle mushrooms. Wine has a long cultural tradition in Catalonia, a historic winegrowing region with its own peculiarities. Among the most famous vineyards are those in El Priorat, a county in the province of Tarragona. El Priorat is a small but very hilly area, meaning that the cultivation of grapes is complicated, demanding and very costly. However, it offers an exceptional grape. We are fans of the MAS DOIX bodega, a small winegrower dating back generations. 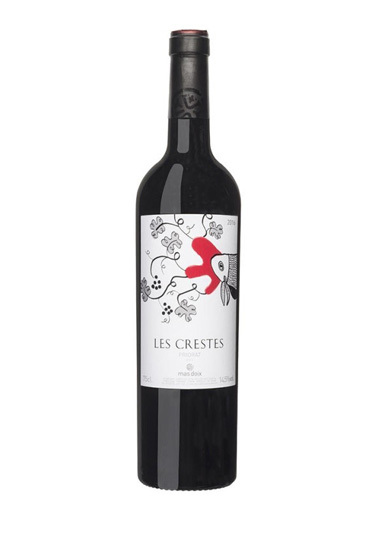 One of their best wines is LES CRESTES, a wine with pure fruit and freshness, expressive and flavourful, young and genuine. 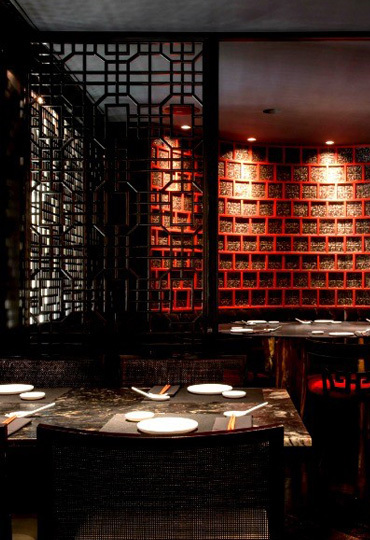 Based on and inspired by the golden age of the private clubs in Shanghai, Mr. Kao is the first dim sum club in Barcelona, located in a luxury five-star hotel (HOTEL CLARIS) and managed by the third generation of restaurateurs to promote a new revolutionary concept. Among the protagonists in this new space are the dim sum, the small Chinese delicacies which you shouldn’t miss out on while in the Catalan capital. © Image from Kao sisters. Jon Giraldo and Jaime Lieberman have managed to fuse Mexican and Colombian cuisine, which combine perfectly with Mediterranean roots, to deliver dishes with an effervescent aesthetic that invoke magic realism. An elegant space profusely decorated with artistic elements, where every detail speaks volumes, and with evocative visual focal points which immerse the visitor into a special atmosphere. A setting where anything is possible and which changes with every visit. Recommendation: Switch off your expectations and let yourself be carried away by the experience. 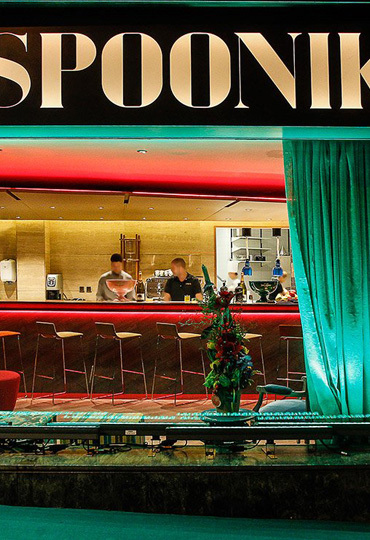 Renowned designer Jaime Beriestain encourages you to discover conceptual cuisine. A menu in which you can find recipes from the chef’s native Chile as well as international dishes and his own innovations. An eclectic restaurant which unites concrete and vintage décor with a dynamic spirit in keeping with the changing ingredients fresh from the market. 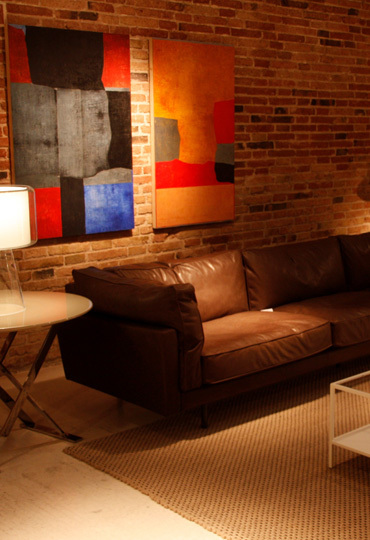 En Línea Barcelona is a furniture showroom with pieces in a contemporary Barcelona style. It opened over 30 years ago and offers a meticulous interior design service from its ground-floor location in a building with Modernist and Noucentist details, designed by architect Bernadí Martorell i Puig in 1924. Faithful to the brand style, this airy space with a neutral appearance exhibits pieces of furniture from the most prestigious international firms along with complementary items and works of art. Before we said goodbye to Meilan and Nayan, we had to ask them what their favourite place in La Roca Village is. The sisters immediately agreed on one of the most relaxed areas of the Village, the zone where we find some of the most famous names, including Gucci, CH Carolina Herrera Company Store, Spazio, Roberto Cavalli and Armani Outlet. A peaceful and secluded spot before you reach the main avenue of the Village, where you can rest – or gather your strength – on a large terrace replete with exquisite floral decorations. Alternatively, you could savour a delicious dessert in one of our gourmet pop-ups. 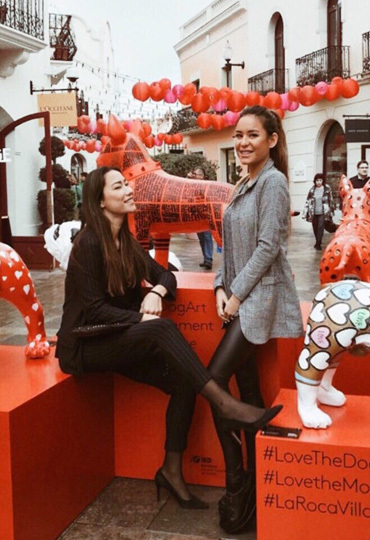 From this magical setting in the Village we bid farewell to the Kao sisters and, of course, wish them a Happy Year of the Dog before thanking them for their highly interesting and distinctive selection.